I have now been in Boston for three months to the date. It has been exciting; it has been terrifying; it has been eye-opening. I miss my friends from home terribly, but I've made some great ones here already. I hate not seeing my parents but up here I can see my sister. I left a job that was comfortable and started one that tested new skills. Everything changed but really, everything stayed the same. It's true what they say, you know. Things happen when you least expect it. When you feel like you're about to give up, you usually find a breakthrough. When you think you've had enough, you sometimes get a second wind. In order to get to this point, you have to surrender to discomfort and maybe even failure. But it will turn up. It will, I promise. I've said it before and I'll say it again. When life is uncertain, ground yourself in the things that fill you up. Friends, family, sport, books, whatever. To me, among other things, the methodical whirl of my mixer is certain. The knowledge that butter and sugar warm is the best combination ever is certain. The happiness that comes out of watching others enjoy my masterpiece is certainty. In a world full of ups and downs and scary dark corners, take comfort in what is for sure. 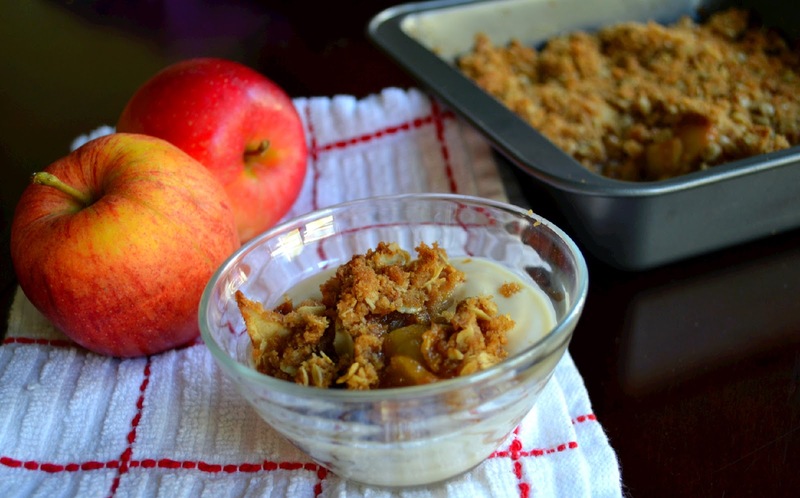 Perhaps this simple apple crisp is just that. It was for me. 1. Heat oven to 375ºF. Butter the bottom and sides of 8-inch square pan. 3. 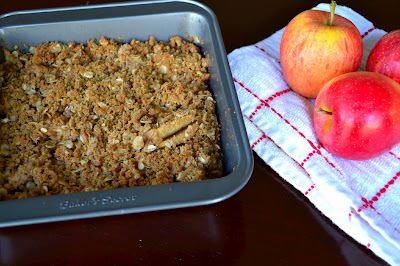 Bake about 30 minutes or until topping is golden brown and apples are tende. Serve warm with ice cream, if desired. Change is tough, but wow, does it work powerful magic. If I hadn't moved away, I'd have never met Hubby and Dudette wouldn't have shown up five years later. Thank goodness I took the chance. Of course, back then I didn't have this amazing crisp to comfort me so I was miserable. Just kidding (about the miserable; not the crisp). It's awesome.